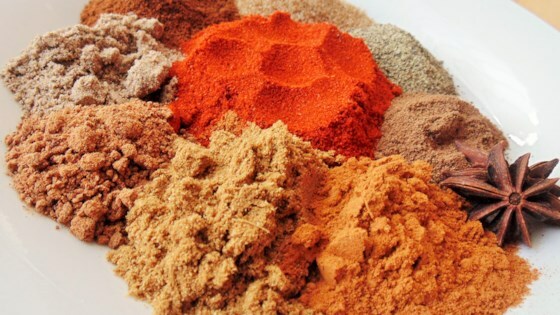 "Baharat is a spice mix used throughout the Arab world to season everything from lentils to meat. There are many variations; this recipe is from my grandmother. It is best to buy all the spices whole and grind them yourself for extra flavor." Combine paprika, pepper, cumin, coriander, cinnamon, cloves, cardamom, star anise, and nutmeg in a bowl and mix well. Store in an airtight container for up to 6 months.